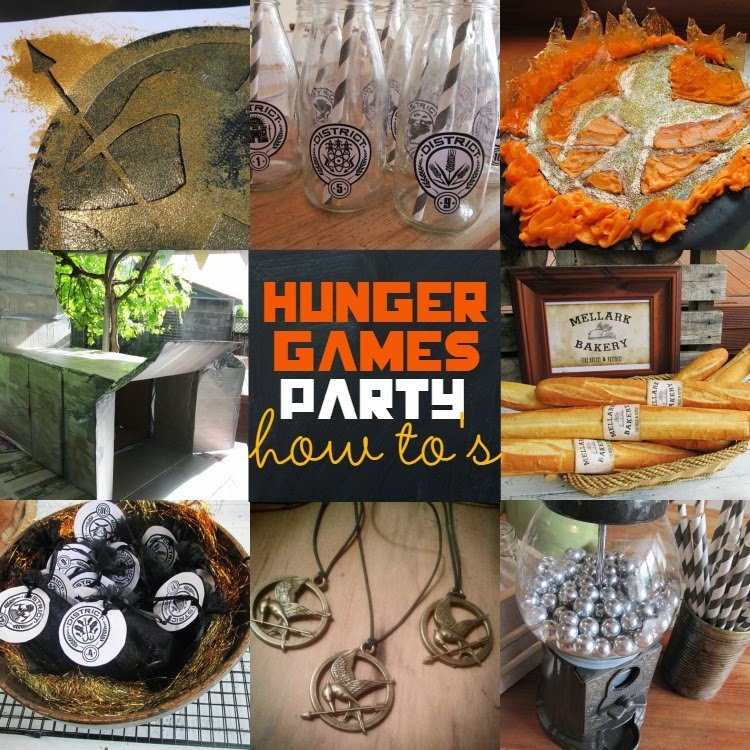 Here is the post you've all been waiting for - the answer to "how did you do that Hunger Games Party?" and "How can I do that myself???" 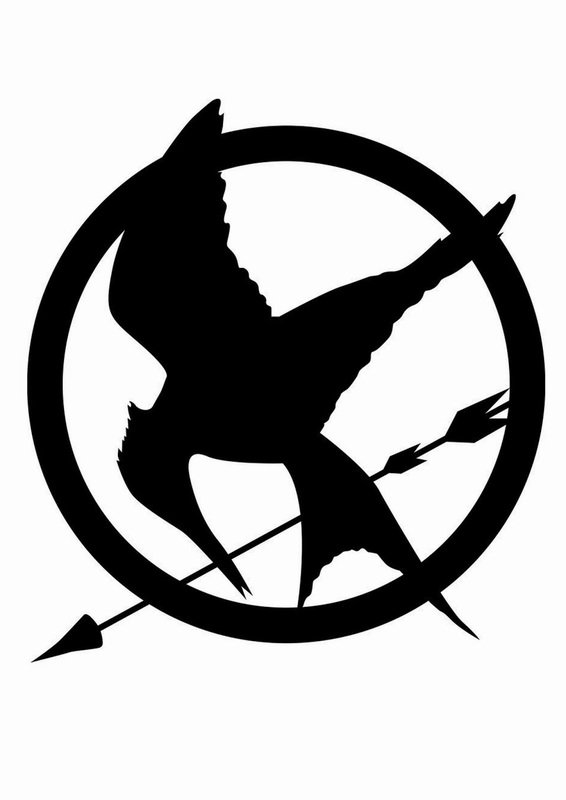 For those of you planning to host one yourself, here are my ideas, tips and printables (the post on How NOT to Kill a Mockingjay Cake will come later in a separate post. Haha). (3) I used the stencil on the birthday cake, as a fondant cutting guide (tutorial to follow in a separate post). 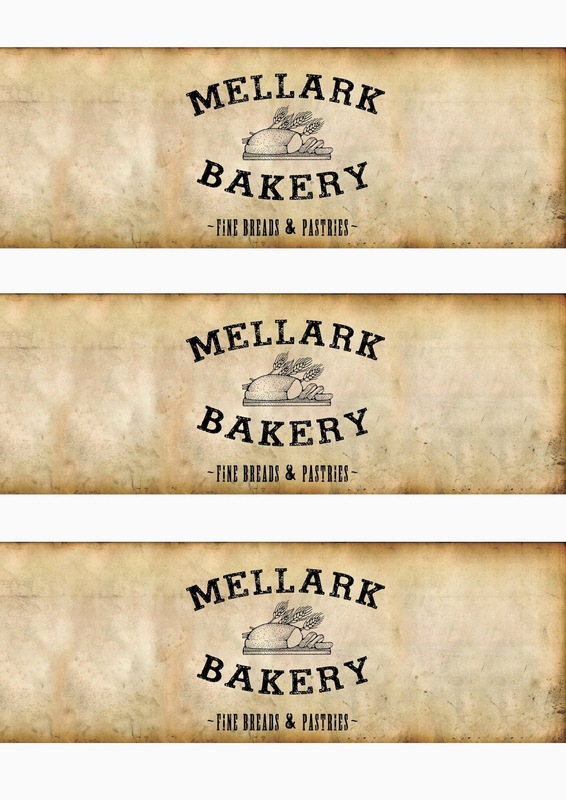 <---------- I've set it up ready for you to print on an A4 page (left). Simply click on the image, then right-click, save to your computer and print three copies. To turn the printed image into a stencil, use a craft knife to cut away the unneeded portions as follows. I found black nylon swimming/sports bags on TradeMe for around $1 each. Make sure you get colour in all the areas; hold the stencil firmly in place to prevent "bleeding". Remove the stencil and Voila! 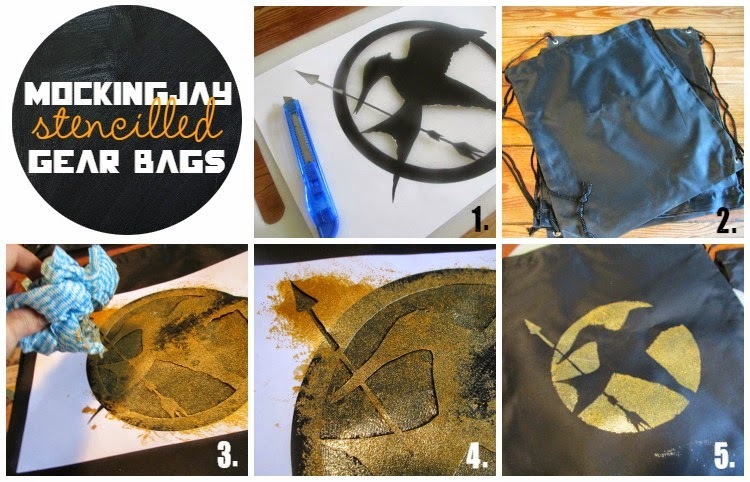 A gold stenciled Mockingjay symbol on your gear bags. Cut out another stencil this time cutting the black symbol out completely. 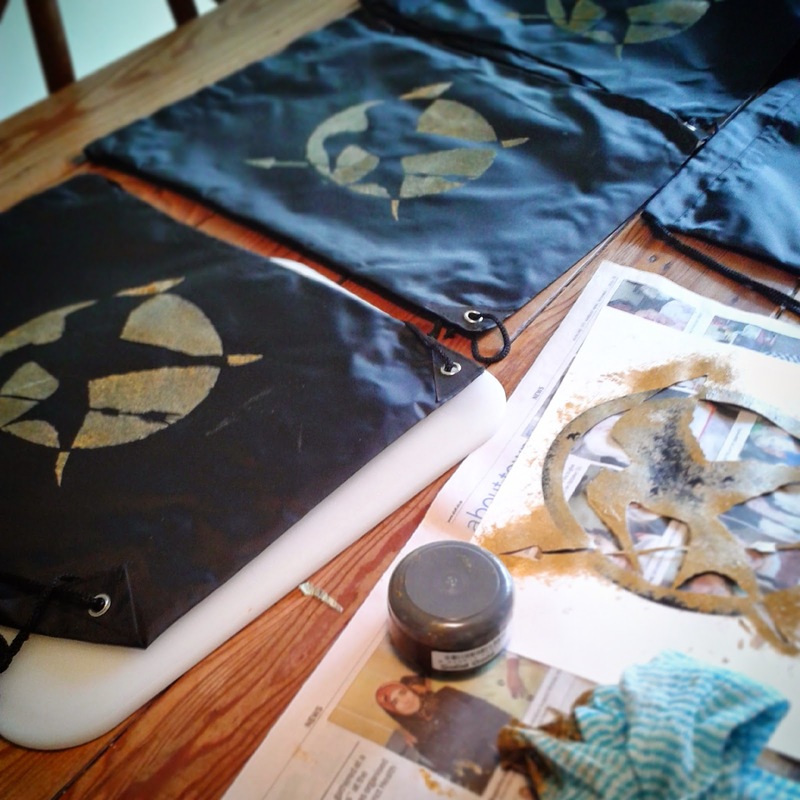 Hold the symbol stencil in place (on wall, backdrop, sacking - wherever you want the symbol) and dip another clean cloth into leftover house paint (or poster paint) and dab the colour on and around the symbol as shown. 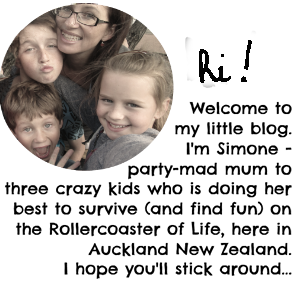 To set the scene in our "Hob"* I created some simple printables which you can also take and use. 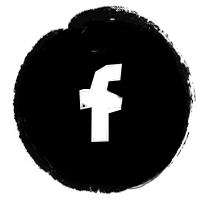 Click on the image, then right-click, save to your computer and print in colour. 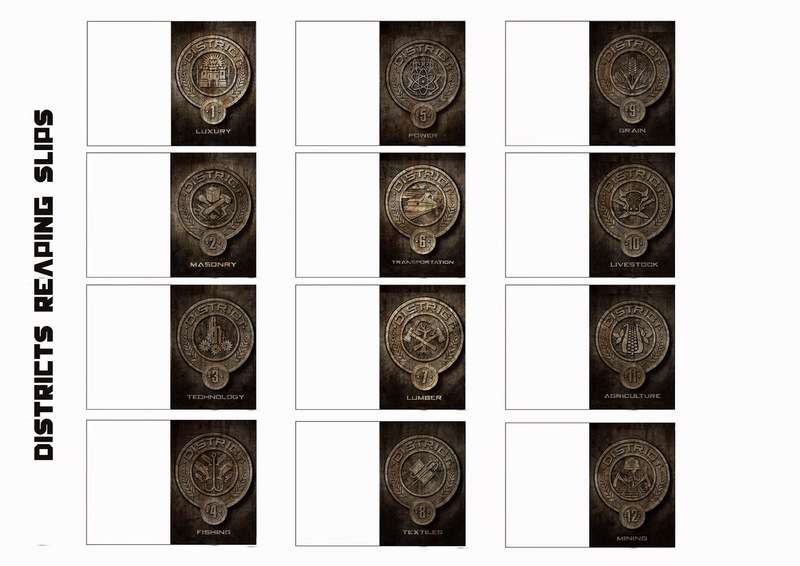 (They are all set up to print on an A4 page). 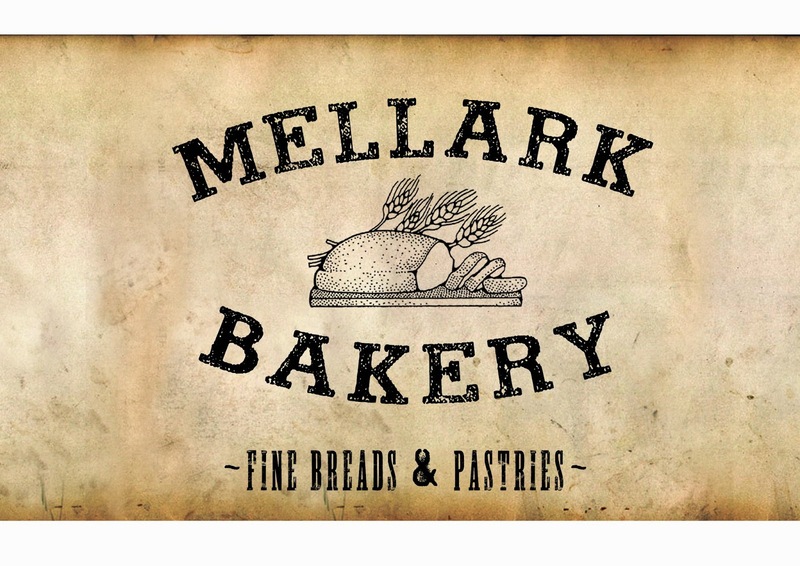 I put the sign in a chunky wooden frame I had, and trimmed the bread wraps and wrapped them around baguettes (which we ate with sausages grilled over the fire). I printed and cut these symbols out and then glued them onto my glass mini milk bottles, so each person could keep track of their drink. 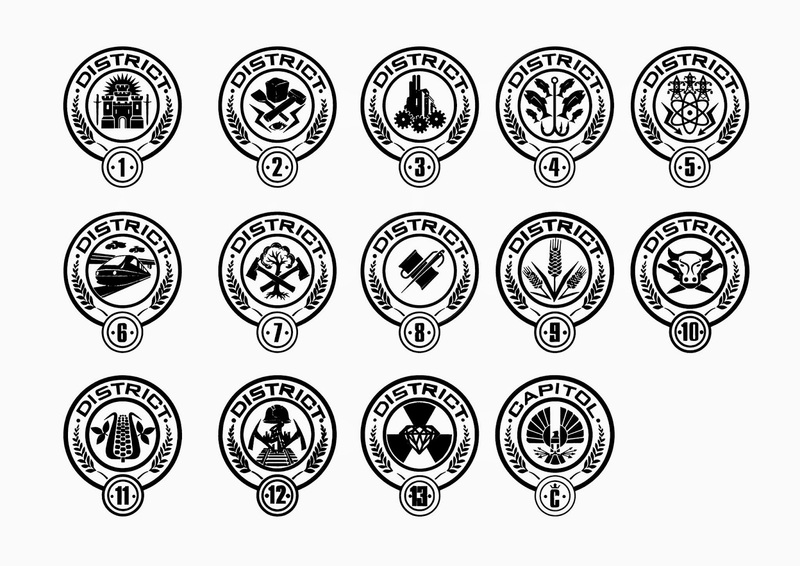 (Each person was assigned a district in a "Reaping"). The labels peeled right off afterwards. 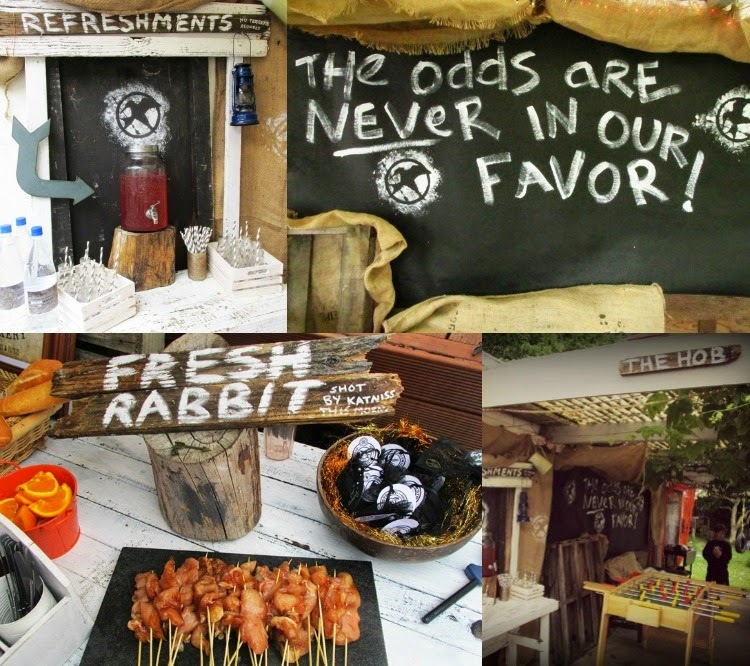 The "Fresh Rabbit (shot by Katniss this morning)", "Refreshments (no tesserae required)" and "The Hob" signs were made from crusty old decking, lettered roughly with leftover white house paint. Cost = Zip. 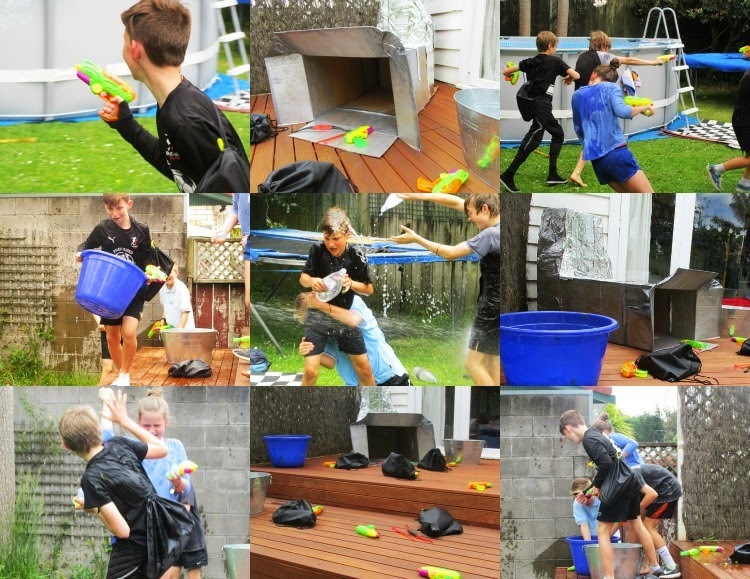 We had one main activity planned for this party: an epic "Hunger Games" water battle, complete with our own "Reaping" to assign districts, and a cardboard Cornucopia. For the "Reaping" each guest's name was written inside a District slip ahead of time, then drawn out and announced. Each guest then received their "life" wristband with a metal-stamped "district" tag attached. The black bands were found in packs of 12 at a dollar store; the metal tags were from Mister Minit in St Lukes, where the guys there did me a great deal and supplied the tags complete with the thingy to attach them. I stamped the district on using my metal stamping set and a hammer. In true HG style had the various "weapons" & "survival supplies" (water guns, water bombs etc) were spilling out from the cornucopia, ready for the cannon to sound signalling the start of the Games. A an extra pair of helping hands! 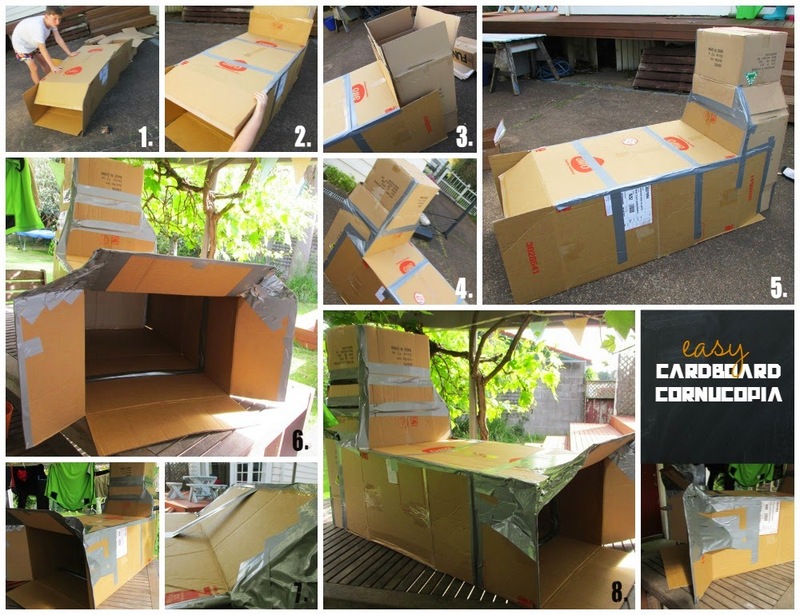 Open up your two large boxes and fit one inside the other with the flaps overlapping, to create a box "tunnel" (the main base of the cornucopia). Get your helper to hold the boxes in place while you tape them together with duct tape, on the inside and out where the flaps overlap. Stand the smaller box upright at one end of your box "tunnel" with the new box's flaps "pointing up"
Tape the flaps at the other end of the cornucopia "open" as shown to create the open mouth shape. It's certainly not picture perfect, but it does the job and gets across the idea of a cornucopia to incorporate into you backyard Hunger Games without costing heaps of money, taking heaps of time or causing heaps of stress. Which is all you really want aye? 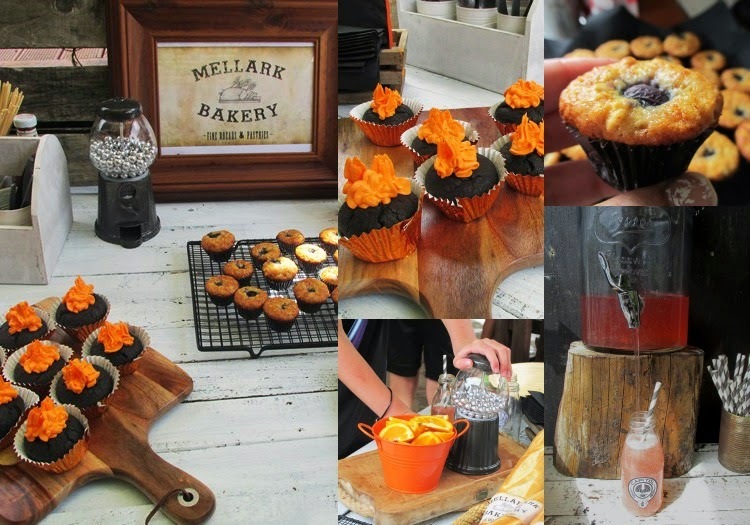 We kept the menu really simple for this party, and ate the food in two parts. 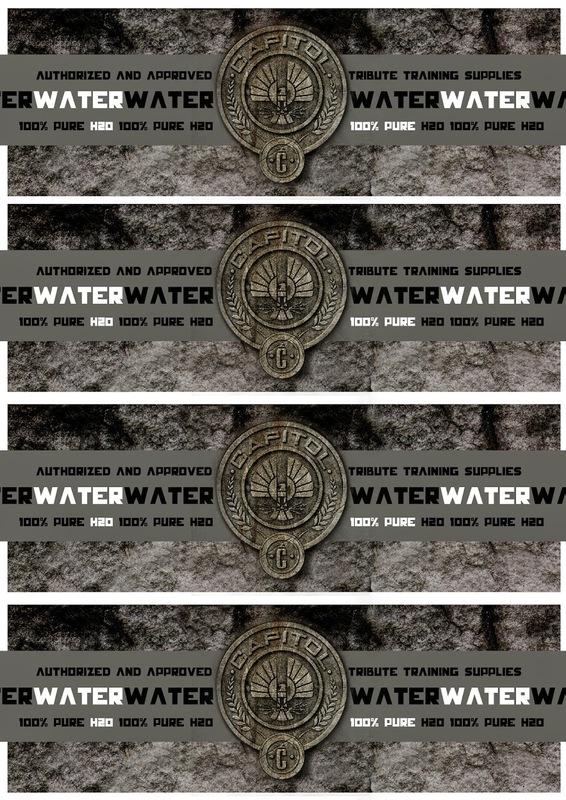 <------ FREE PRINTABLE Water Bottle Labels. Right Click to save to your computer, then print and attach to water bottles with their labels removed, using a glue stick. 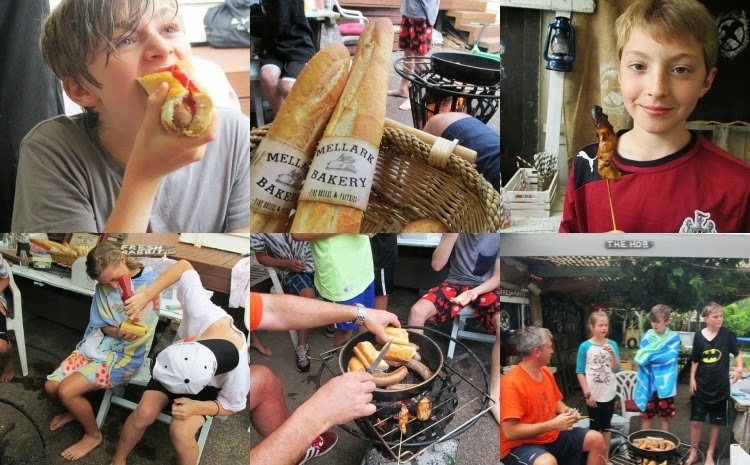 While the kids were still biffing water at each other and splashing in the pool we lit a fire in the brazier and brought out the "fresh rabbit" skewers and some pure beef sausages from our favourite butcher to sizzle over the brazier. 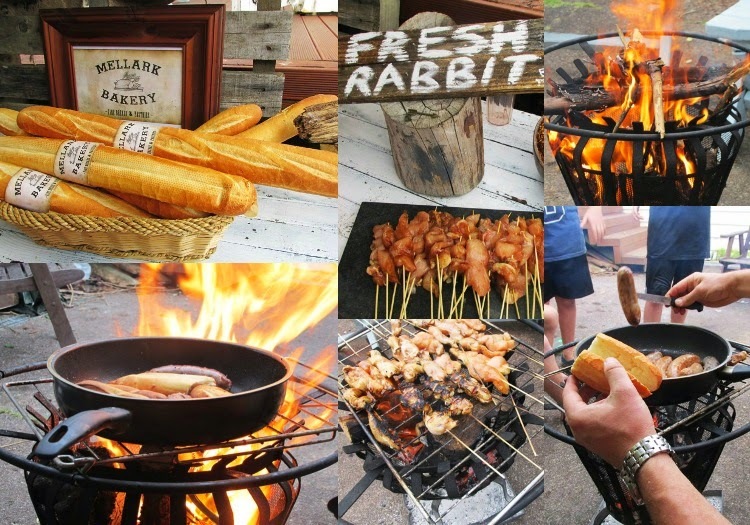 The rabbit skewers were actually strips of chicken, marinated in honey and soy sauce (soooo tender and delicious cooked over the fire). 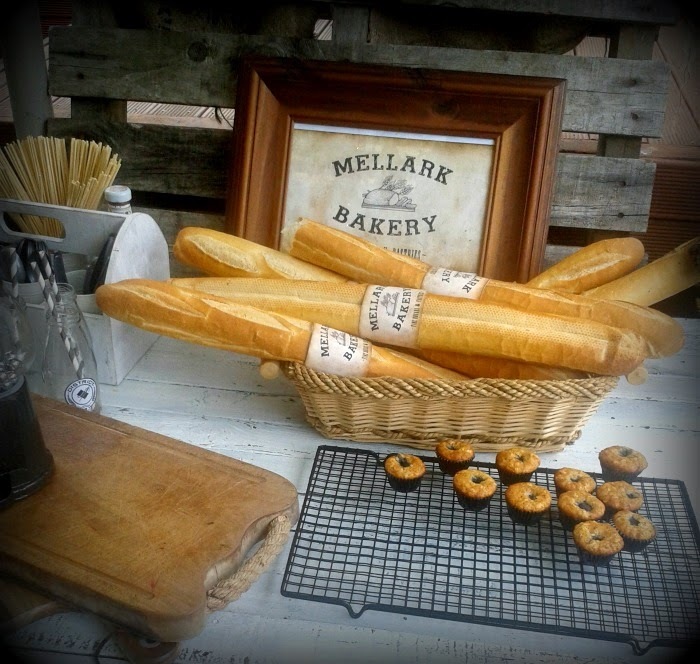 The sausages were served in cut-up baguettes from "Mellark Bakery" (where else?). They went down pretty well! Tutorial (and the story of how I nearly killed the Mockingjay cake) coming soon. 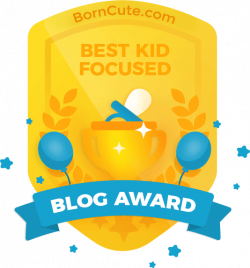 I have a 12 year old: Is this my last theme party ever for my tween?